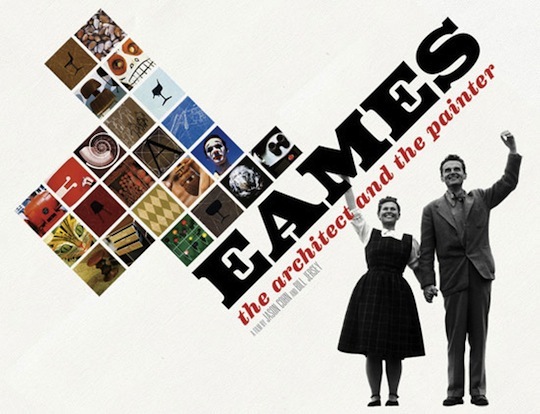 For those of us who love mid-century modern style, the name Eames is as well-known to us as sliced bread. So I was super excited to read a tweet last week that mentioned a film about the dynamic design duo of Charles and Ray that you can watch for free online at the ever-generous PBS, as part of its American Masters series (I'm already indebted to it for putting Downton Abbey online for free!). I know what I'll be taking a break to watch this weekend...how about you? Want to make a date of it?